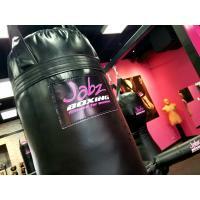 Jabz Boxing Fitness for Women is a circuit workout that combines boxing with cardio, strength training, HIIT, plyometrics and numerous other functional exercises to produce maximum results for your body. Our classes are limited to 16 women to ensure each member receives truly personalized attention from our trainers. Please allow an hour for your workout from start to finish. After registering for your introductory product, you are able to reserve your classes online. Due to our small class size, we request that members book the class times they prefer rather than walking into the studio. If it is your first class, please arrive 10-15 minutes early for orientation to ensure proper boxing techniques and form. 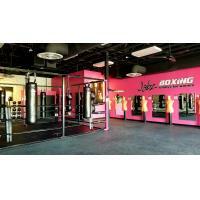 You will begin each class with a warm-up that consists of rowing, shadow boxing, jump ropes and speed bag work. 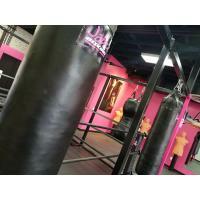 The daily workout will then be demonstrated by one of our Certified Jabz Trainers, followed by our fast moving, full body, high intensity, boxing-inspired circuit. Workouts change every day to ensure your body will be constantly be challenged. 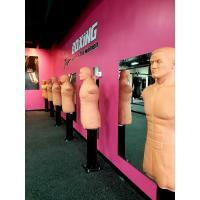 Our certified trainers are there to motivate, provide individual exercise modifications and correct form. Each class ends with a trainer-led cool down stretch. The Jabz workout is for ANYONE and EVERYONE. Whether you are a beginner or you are looking for a more challenging class, the Jabz workouts are designed to be modified to meet all clients' needs. A Jabz trainer will push you to your own personal limit!